1. 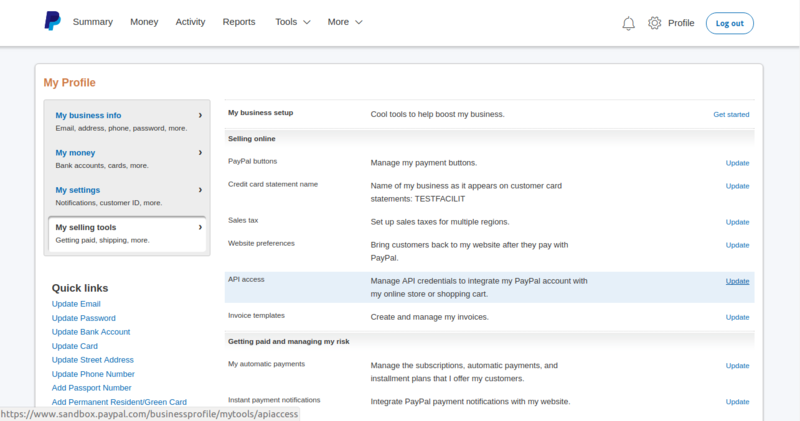 For PayPal integration you need to have a Paypal Business Account. If you do not have the same log into your 2. 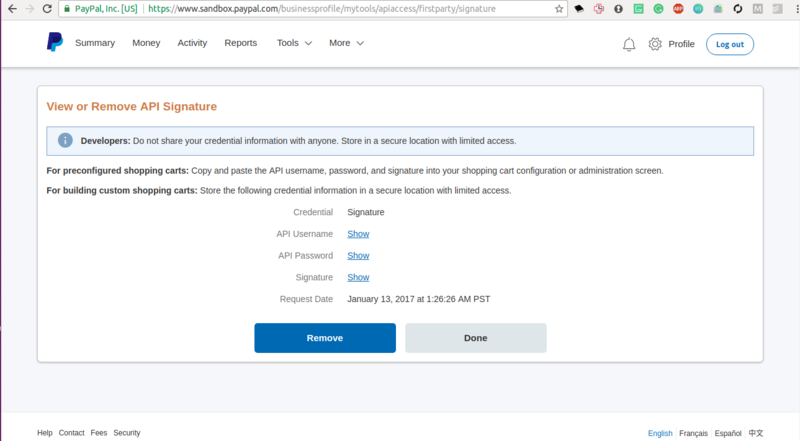 PayPal account and request for upgrading your account to a business account. 3. After you have got the business account go to https://developer.paypal.com and log into developer. 5. When you get the payouts API approved click on My Apps & Credentials link. 6. 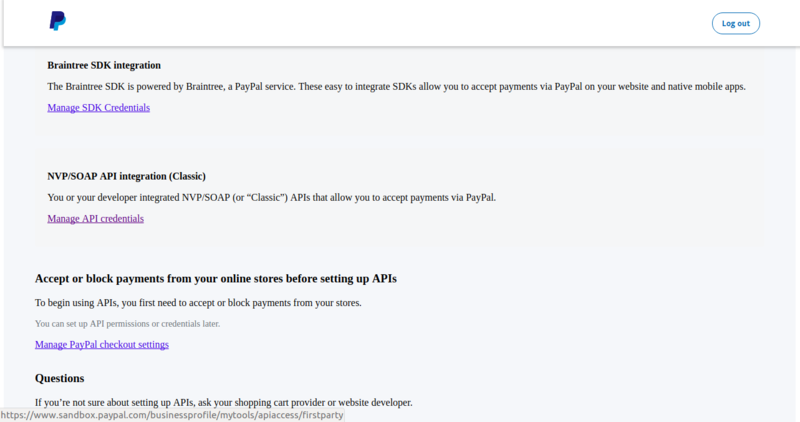 Create a Paypal App. After you have created an App please note down the App’s Client ID and Client Secret. 7. 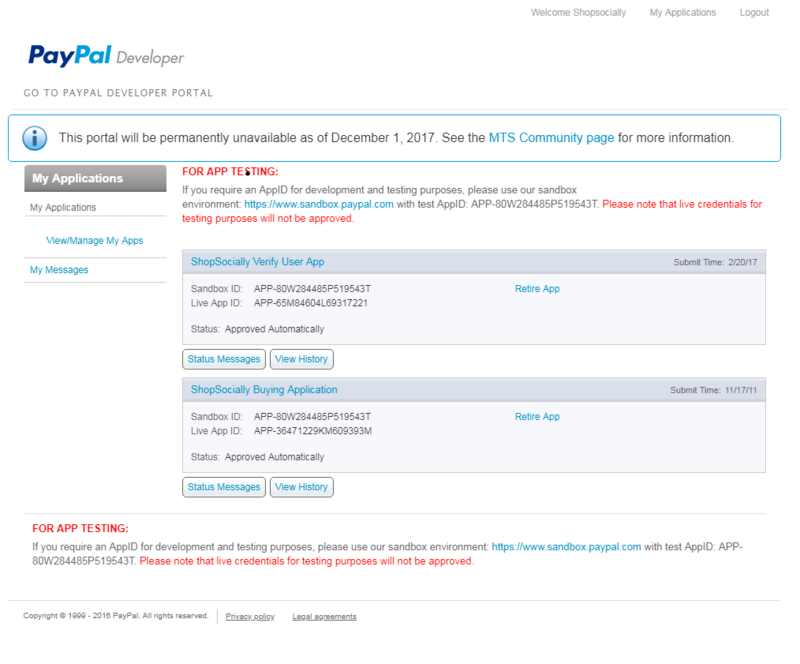 Go to https://www.paypal-apps.com/user/my-account/applications. A link will be there asking you to login via Paypal. Log in via Paypal. 8. Click on New App link. 10. Make sure you check and get verified status, and fill in the other details as shown in the above figure. 11. Once approved, you will get a Live App ID. Make a note of it. 13. Scroll down to the API Access and click on the Update link. 15. In the NVP/SOAP API integration section click on View API Signature link. You'll able to see Security Username, Password and Signature if you have already requested the credentials. You can request for the API credentials if you don't have. 16. Make a note of API username, API Password and Signature. 17. Update all the details in Zinrelo Dashboard. Note: Every transaction you make will be charged at .25$ by PayPal.